A Syrian lantern we bought in Aleppo. Things are coming together and my list of things to decide has changed into a list of things to schedule. I think we're on the down hill slope. The painting is still going on, but should be finished soon. 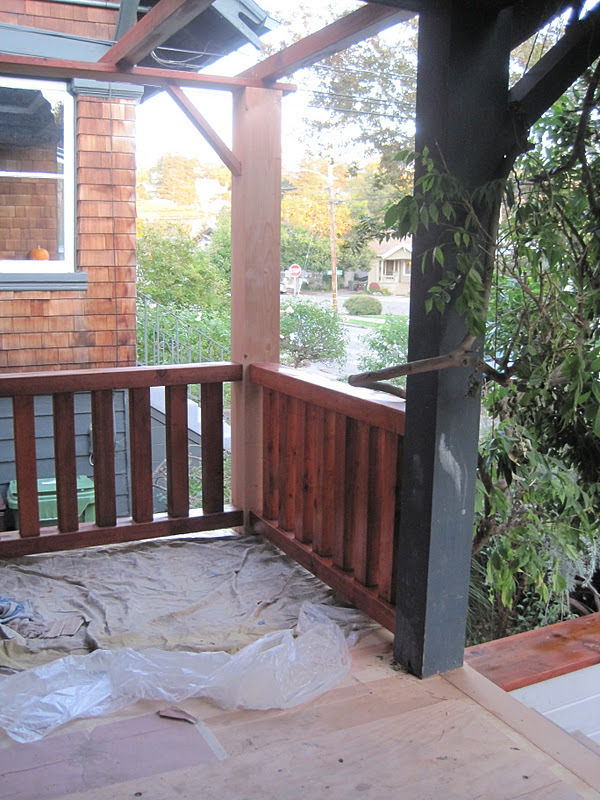 The porch looks great, it's rebuilt, repainted and with the new tempered glass panels it feels like an entirely reclaimed space. 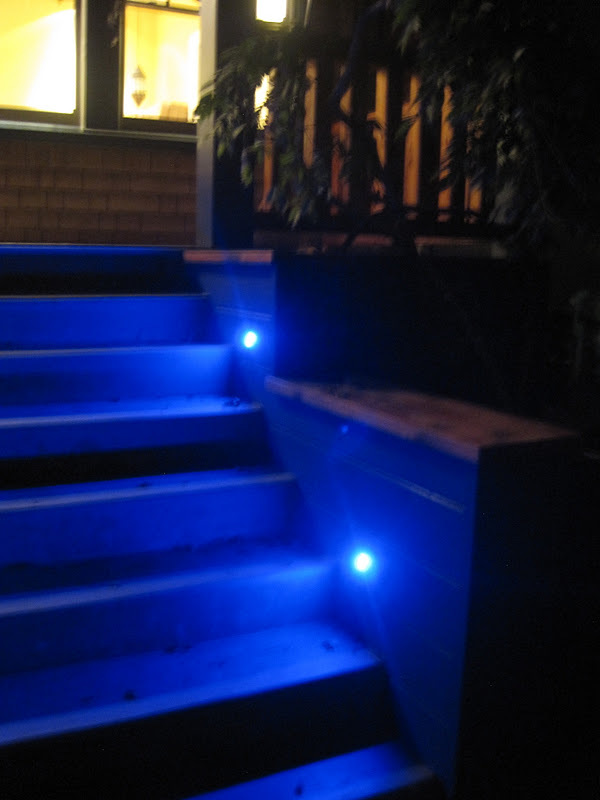 I LOVE the bright blue led lights on the steps and the reeded glass overhead. 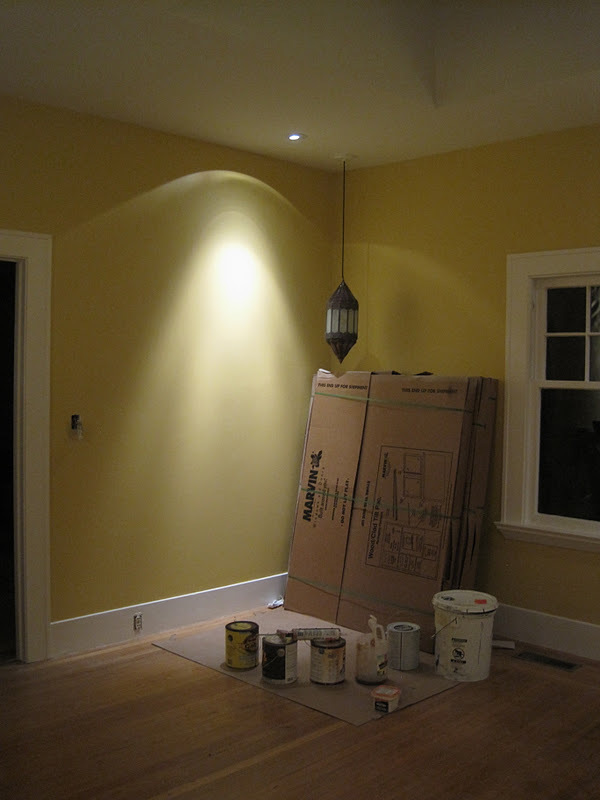 Lighting in the newly painted bedroom. The bathroom is coming together. 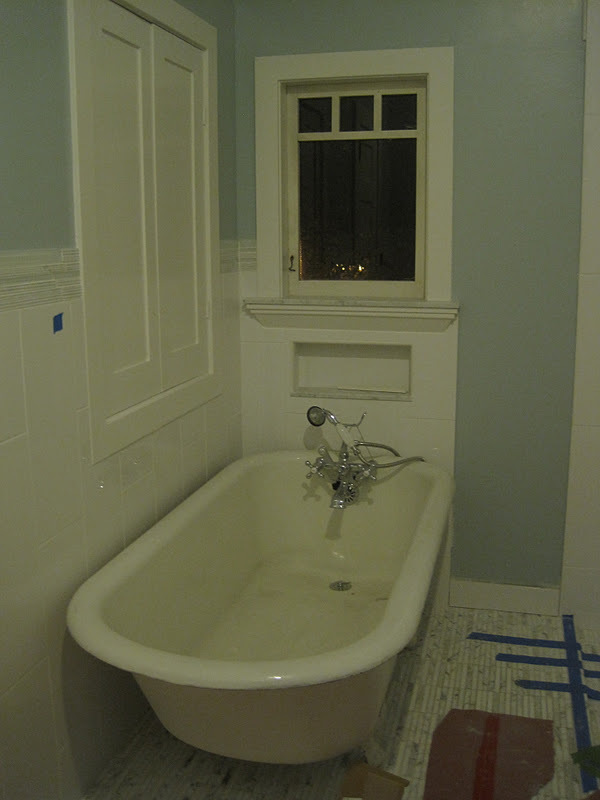 The marble floor looks great and I love the marble window sill. 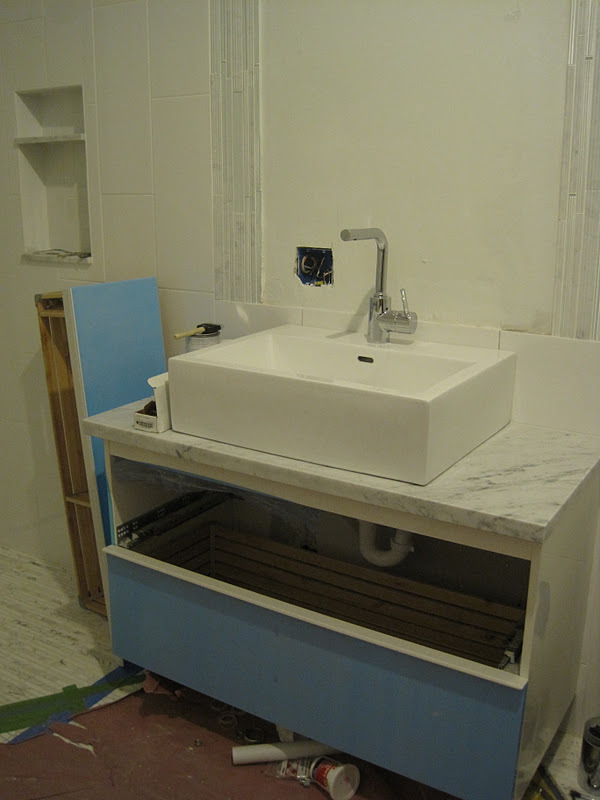 The marble fabricator cut the vanity top, two thresholds and three shelves from a single small slab. So what is on the downward slope? Small details like hardware, door handles and towel bars. Chris also has to put in the new electrical plugs and dimmer switches as well as installing the last few lights. The largest outstanding projects are repairing the back porch and installing the windows in the dining room. At this stage we can see the improvements coming together daily. 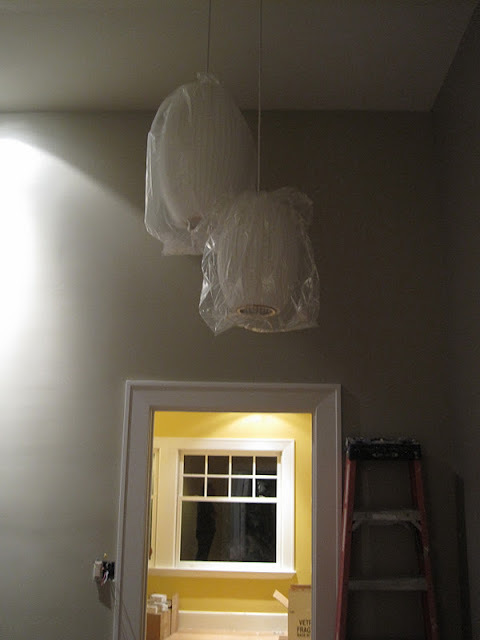 The shower has been measured for the frameless glass doors and we have estimates to install the mirrors and stain and refinish the floors. There should be a lot of progress in in the next two weeks.